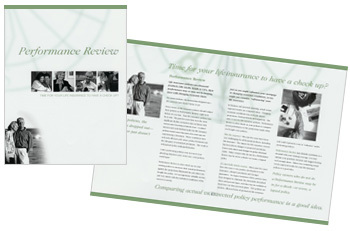 Brilliant consumer-friendly brochures and eye-popping policy review output makes our Suite of Approaches an invaluable addition to your practice. Only Leaders Partners offers such a comprehensive suite of approaches to the lucrative policy review service. Quick Links to these tools can be found at the bottom of this page in the Quick Links menu. Click the headline to reach our Underwriting homepage for full details.